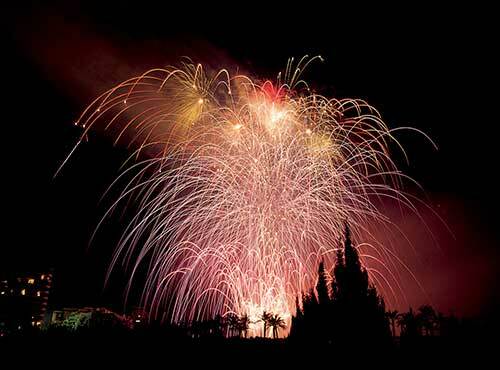 Valencia is a land of pyrotechnics. There is barely an event held in this region, whether public or private, a popular celebration or a simple family meeting, that isn’t accompanied by the noise and smell of gunpowder. 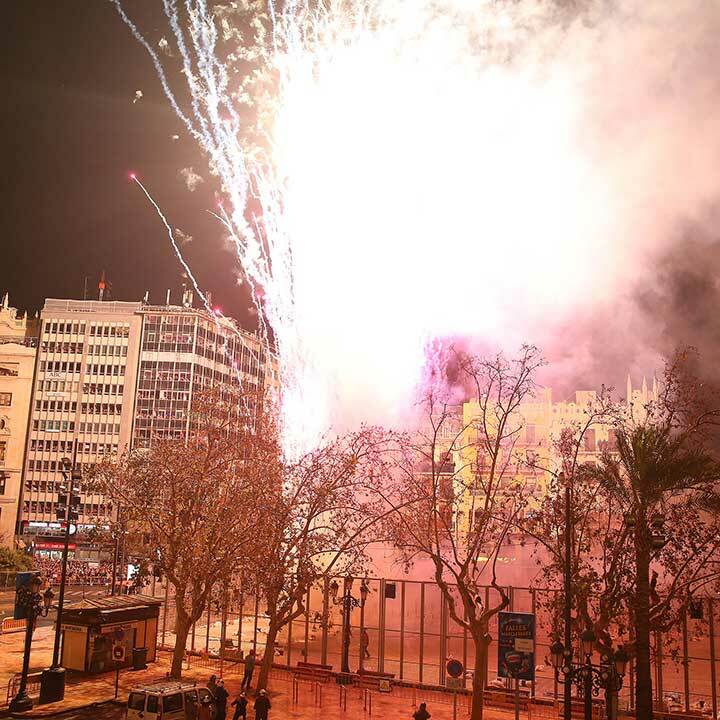 Fallas events programme is full of different pyrotechnics: “despetàs” in the morning, “mascletás” in the afternoon and gorgeaus Fireworks at midnight. Although written in Valencian, the term is quite explicit: the “despertà” refers to the act of waking up the neighbourhood. How? Very simple: by setting off hundreds of firecrackers first thing in the morning. 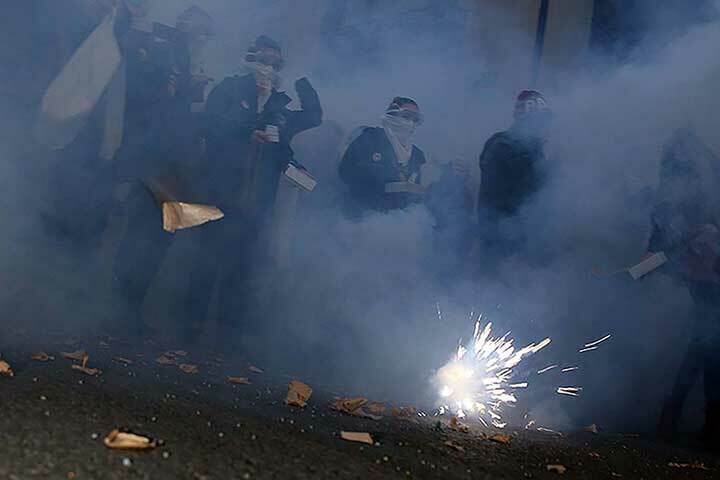 The “Falleros” come out into the streets at dawn, armed with a kind of local firecracker known as “tró de bac”, which has no fuse and is set off by throwing it at the ground, making a very loud bang. This is a celebration that increasingly enjoys the participation of people unaffiliated with the commissions and which takes place in a permanent atmosphere of fun and noise. A thunderous daytime display based on the most powerful fireworks currently available: the “masclets”. 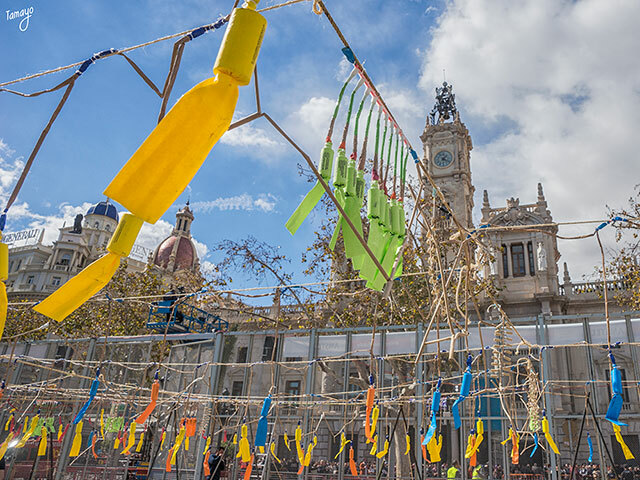 The City Council of Valencia organizes a calendar of “mascletaes” from the 1st of March to St. Joseph’s Day (19th March), at the Plaza del Ayuntamiento, the city’s urban centre. At 2 o’clock in the afternoon, thousands and thousands of people congregate there, every day, to witness a unique event that should not be missed by anyone who plans to experience the genuine Fallas atmosphere. All of this happens in barely six or seven minutes. The mascletà itself is like a concert of gunpowder: pyrotechnicians carefully study the rhythm of firework sequences, launches and whistles, combining them in a spectacular crescendo that concludes with the “terremoto” (earthquake): hundreds of “masclets” exploding on the ground simultaneously. There is no fireworks display comparable to a “mascletà” and the emotions it arouses can only be understood by experiencing it at least once. The Fallas, as the prime example of a popular Valencian fiesta, has a highly varied programme of fireworks displays: from daytime “mascletàs” (see the section referring to them) to ever-more creative and exciting pyrotechnical shows taking place at night, starting from the 16th March, in the old Turia riverbed; specifically, between the Puente de la Exposición – called “La Peineta” (The Comb) by locals – and the Puente de las Flores. The most spectacular and best-known firework is the “Nit del Foc” (literally “Night of Fire”), the best example of the intensity that can be reached combining light, colour and explosions. 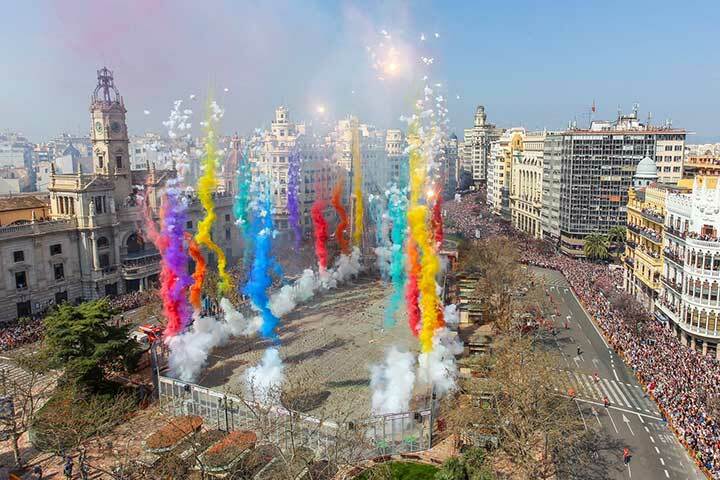 This tremendous pyrotechnical festival takes place on the night between the 18th and the 19th March and acts as a preamble to the main day of the Fallas.